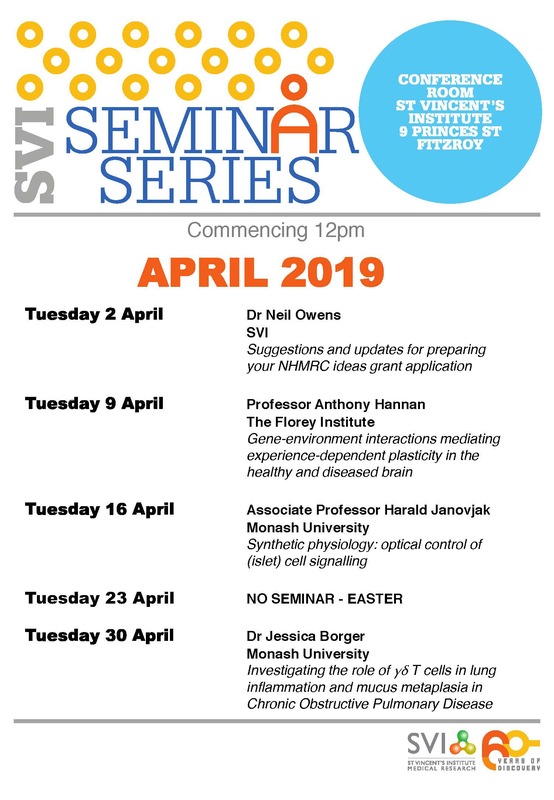 St Vincent's Institute of Medical Research (SVI) regularly hosts a seminar by an internal or external researcher from a variety of research backgrounds. These seminars are targeted at scientists and tertiary students in related fields; no RSVPs are required. The seminars are at 12pm and followed by a light lunch to encourage networking and discussion amongst the presenters and attendeess. 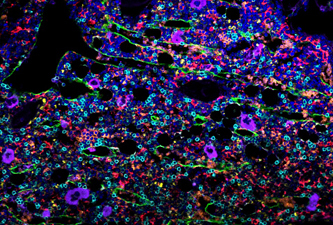 Our next researcher seminar open to external researchers/students is on Tuesday 30th April and the presenter is Dr Jessica Borger from Monash University, who will present on "Investigating the role of γδT cells in lung inflammation and mucus metaplasia in Chronic Obstructive Pulmonary Disease". You can find also find our full list of speakers for April in the flyer below.